After greeting children at the pier, Santa will hop into a fire engine and travel to the Community Center, where he will take up residence at 2:00 pm to hear Christmas wishes. Children who meet Santa will receive a small gift. This annual event is sponsored by the Kiwanis Club of Lower Cape Cod. 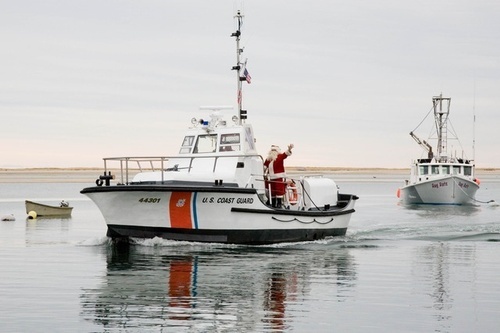 Santa's arrival signals the start of the Christmas season in Chatham. Next weekend, December 7 through 9, the Chatham Merchants Association will sponsor it 39th annual Christmas by the Sea celebration.